Cusco carries the title of the archeological capital of America with proud, because there is no other place in the whole continent where you easily can reach ruins of a amazing culture, which are still in a good condition. 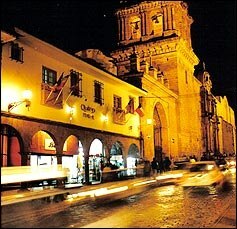 The contrast between autochthon and western, history and present gives Cusco its special beauty. Sacred Valley A trip to the Sacred Valley includes visiting many towns such as Pisaq, Yucay, Urubamba, Ollantaytambo and Chinchero. In every town there are fascinating pre-hispanic archaeological ruins. Machu Picchu An amazing Inca citadel located at 120 km of Cusco is considered to be one of the greatest marvels created by the man itself. 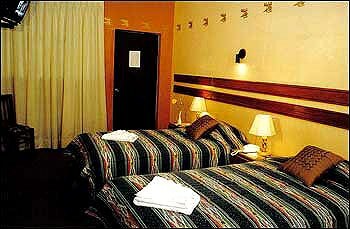 Central of Reservation Hotels and Hostel, is an special Peruvian hotel chain offering visitors an original way to know Peru and to experience the spirit of the Andean world. Our hotels' warmth and our staff's hospitality allow guests to enjoy the wonderful experience of discovering the magic and splendor of the Andes. We invite you to know more about our 11 hotels in Peru. 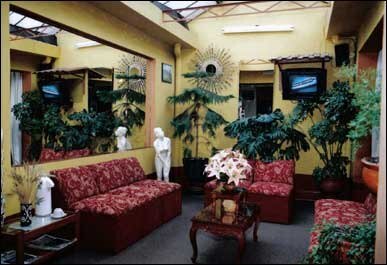 We are three block from the main square, right in the heart of the Historical Cusco Centre.